Several elements of populism were present in Narendra Modi’s campaign in Gujarat. The election campaign in Gujarat, where the Bharatiya Janata Party (BJP) won a hard-fought victory, saw a distinct change in the tenor of the speeches and rhetoric of Prime Minister Narendra Modi. One of the notable aspects of Modi’s campaign in the 2014 general elections was the emphasis on ‘vikas’ or development – what some had called the politics of hope – and in general an avoidance of personal attacks and divisive issues. The Gujarat campaign, in contrast, was marked by a surprising amount of time spent on extolling his own virtues, raking up obscure issues, responding to taunts and spreading conspiracy theories about Pakistan’s involvement in the elections. One school of thought is that Modi deviated from his master narrative of ‘vikas’ because for the first time in over two decades, he and the BJP were facing a contest on his home turf. This might have prompted Modi to turn the election into a prestige battle and a matter of Gujarati pride. While this could have well been true, given the discontent in Gujarat on various issues, including the Goods and Services Tax, farmers’ distress and reservation demands by the Patidars, the roots of Modi’s about-turn possibly lie elsewhere. It can plausibly be traced to the populism that lies at the heart of Modi’s politics. Several prominent analysts and political scientists have debated whether or not Modi is a populist. Indeed, with the rise of several populist leaders across the world, from Donald Trump in the US to Turkey’s Recep Tayyip Erdoğan, the concept of populism itself has become much debated. The authors of a recent book on populism label it one of the “most used and abused” terms in academia. Leaving aside the precise nature of populism, there are several elements of populism, as understood by most scholars, which were present in Modi’s campaign in Gujarat. First, the politics of ‘personality’, which dominated the Gujarat campaign. In speech after speech, Modi referred to the slights, imagined or otherwise, that had been hurled at him. He resurrected his ‘chaiwala’ origins and at rallies spoke of how he might have sold tea but not the nation. Indeed, emphasising one’s humble origins and projecting an anti-elitist image is a staple of populism. Modi also turned Congress leader Mani Shankar Aiyar’s ill-advised comment that he was a “neech” (lowly) person into a caste insult. 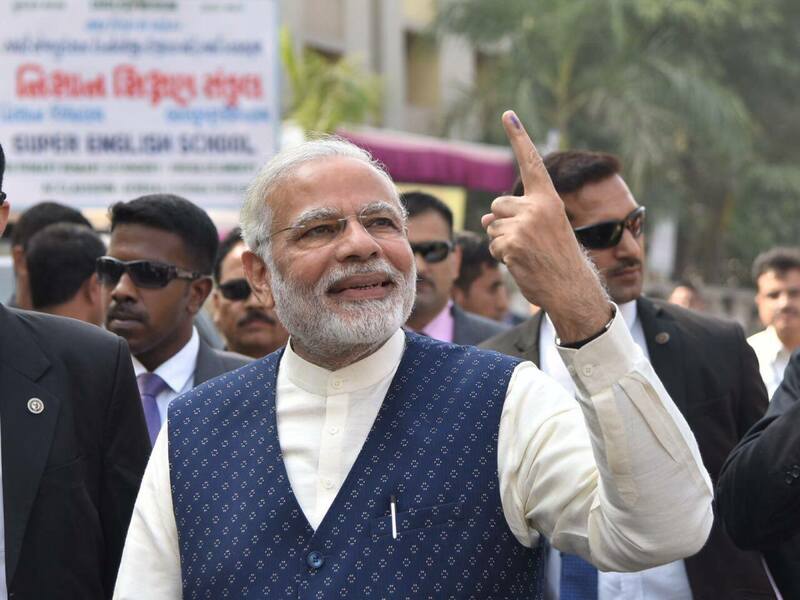 Not surprisingly, Modi invoked Gujarati pride on several occasions, asking voters if they would forgive those who had insulted a “son of Gujarat”. Congress’s president-elect Rahul Gandhi probably had a point when he said that Modi spent “90%” of the time talking about himself, rather than the real issues in Gujarat. Second, populism, as Jen-Werner Müller has noted, is a particular “moralistic imagination of politics”, where populists claim that only they can truly represent the people. This message came through far more strongly in Modi’s campaign in Gujarat, the home state for both him and BJP president Amit Shah, compared to elsewhere in India. Third, populism is particularly prone to conspiracy theories and is used as a tool for mobilisation. That is probably the most charitable explanation of Modi linking a dinner at Aiyar’s home, attended by a former Pakistani foreign minister as well as former Prime Minister Manmohan Singh, to Pakistani interference in the Gujarat elections. That other senior BJP leaders repeated this outrageous theory, without any credible evidence, is not surprising. In his study of populism, Paul Taggart has pointed out that conspiracy theories propagated by populists do not necessarily require any proof. An investigation into whether the conspiracy exists is likely, Taggart says, to be “at best ineffective, and at worst in collusion with the conspiracy”. Modi is, of course, not the first populist leader in India. Many have noted similarities with Indira Gandhi. The major difference between the two is that Modi might be termed a right-wing populist while Indira had decidedly left-wing tendencies. But both have a remarkably similar style of governance and a way of reaching out to the masses. The populist tag has come to be increasingly associated with Modi after his disruptive measures, such as demonetisation, and the way his government has tended to undermine institutions. The Gujarat election campaign has further contributed to the image of Modi as a populist. Ronojoy Sen is with the National University of Singapore.